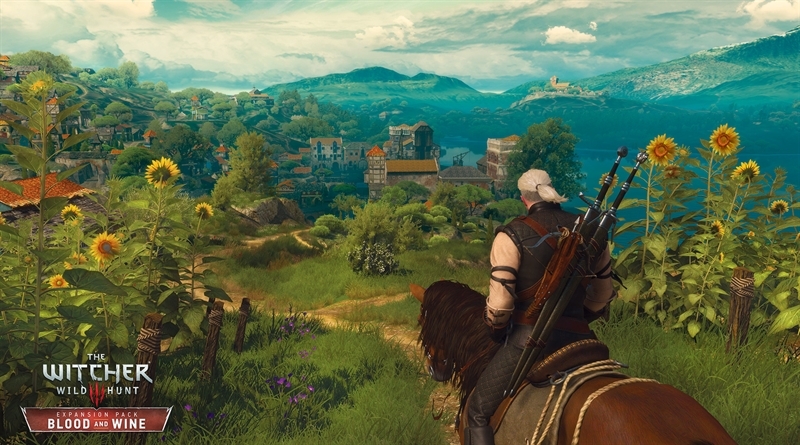 The Witcher 3 Wild Hunt is one of the best role playing games of all time, but will the final expansion pack send Geralt on retirement with a big bang or will it be a total mess? The first expansion ‘Heart and Stone’ for the game was really short but to the point which by the way is not a ad thing. It was fun and added 10 hours of gameplay to an already long game. But the new expansion pack Blood and Wine is the one DLC that is long awaited and we hope it will exceed our expectations. This latest expansion pack has amazing content, it contains new armor pieces, weapons, various new quests and lot of fun. The Witcher 3 Blood and Wine expansion pack is really how all the developers should make a DLC. The Witcher 3 Wild Hunt is really a diamond of CD Projekt Red and the new Blood and Wine DLC with intuitive narrative and large scope, it proves that they can really create something awesome. The expansions from the developers for the The Witcher 3 are of same standard as a full game itself and in the case of new DLC Blood and Wine even more. Y0u will get enormous amount of quests, armor, weapons, new mutations, new interface, the new Gwent deck cards and totally new map to explore and discover mysterious secrets. All these things will add 20 more hours of gameplay to the original game which is kinda massive in its own. The Witcher 3 Blood and Wind DLC is coming on 31st May this year and it seems CD Projekt Red really wanted to create this last Witcher 3 DLC extraordinary. The new expansion pack will cost gamers $24.99 with the season pass that also includes the Hearts of Stone DLC and without the season pass it will cost $19.99. It’s awesome because the new DLC will add hours of new content to the main game, if you combine the 2 DLCs you will get a gameplay that clocks around the same length as the Witcher 2 game and the best thing is that it only cost $24.99 while other DLCs charge more money with less content such as Call of Duty and Star Wars Battlefront. The developers has put more attention to details and time on expansion packs than most developers. I just want to say one thing The Witcher 3 Wild Hunt DLC packs are worth your your money and CD Projekt Red has put all their efforts to make it awesome.